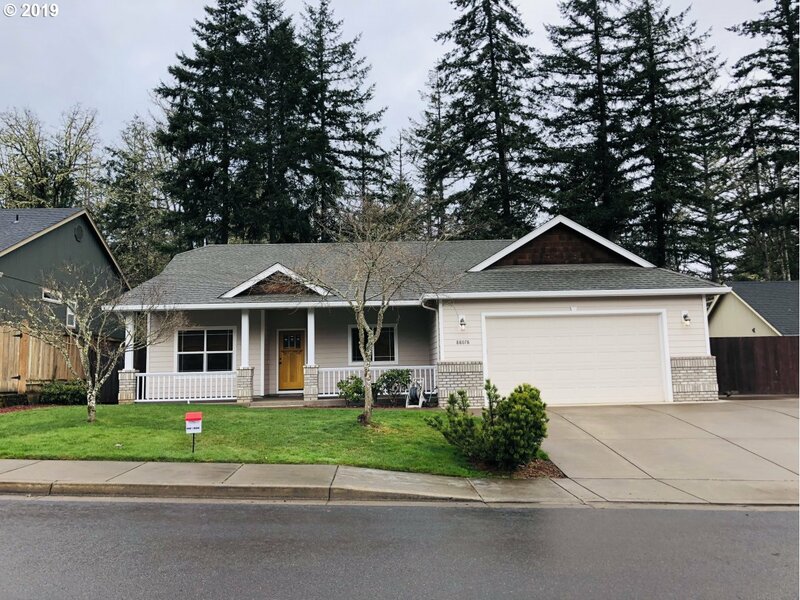 All Veneta homes currently listed for sale in Veneta as of 04/19/2019 are shown below. You can change the search criteria at any time by pressing the 'Change Search' button below. If you have any questions or you would like more information about any Veneta homes for sale or other Veneta real estate, please contact us and one of our knowledgeable Veneta REALTORS® would be pleased to assist you. "The Luxury Equestrian Facility with the Spectacular Views and Privacy you've been looking for! Includes: 5000 sq ft Chalet Style Home with Spectacular Views, Fenced and Watered Pasture & Paddock, A Million Dollar - 36,000 sq ft Clear Span Horse Arena (potential winery/greenhouse), with ten stalls, viewing room, tack room, horse washing stall, washroom, walk-in meat locker, 70 x 200 Equipment Shed, 40 x 60 Storage Garage/Shop, Etc..."
"Shown by strict apt only. Wonderful equestrian property with 204 X 80 indoor arena, announcer booth,large outdoor arena sized for Standard Barrel Race Course.Outdoor arena lights. Separate 84 X 72 shop and numerous out buildings.42 stalls all currently full,27 turnouts, 11 lean too's, Fenced and cross fenced for 24 pastures. This property is zoned as F2 with endless potential." "Beautiful well-kept home in quiet neighborhood on 3 lots = .74ac! 4 bdrm, 3 ba, 2543 sqft, living rm, family rm, formal dining & bonus rm. 3 bdrms upstairs & 1 downstairs currently used for an extended living. Vaulted ceilings throughout, spacious kitchen w/ tile counters, smooth top range & B/I micro. Mstr Ste w/ large soaking tub, plus shower & double sinks. 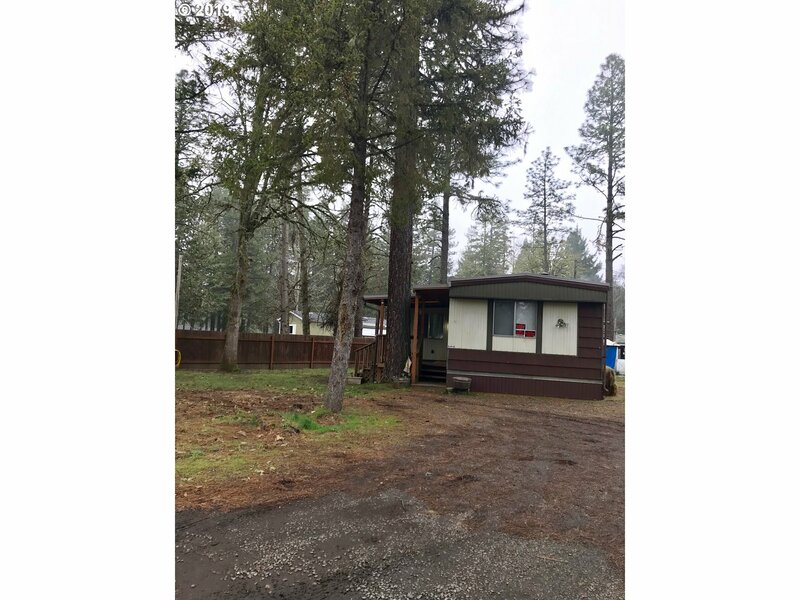 RV Parking & beautiful seasonal creek in back of property. Must see!" 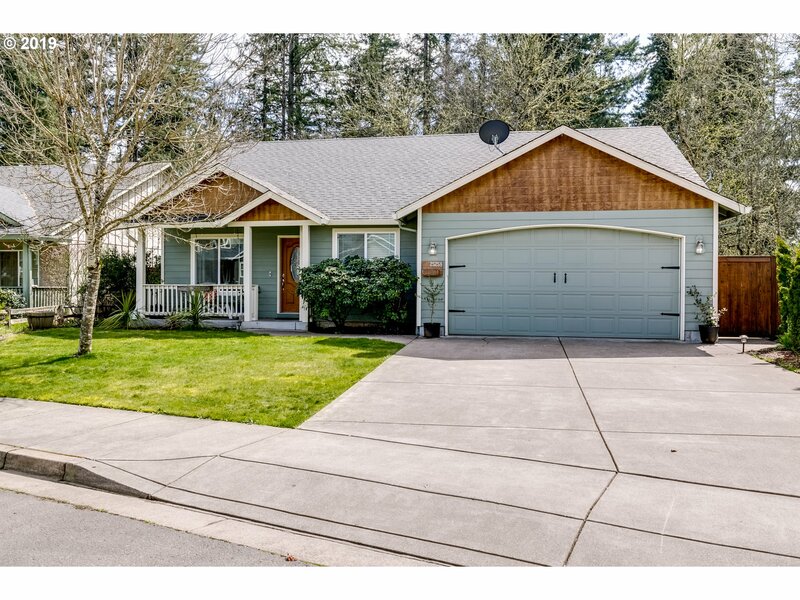 "Beautiful move-in ready home in newer neighborhood in Veneta. This home has many upgrades including quartz countertops, raised vanities, stone exterior accents, tile floor, pantry and an abundance of windows throughout. 4 large bedrooms plus den with closet that could be 5th bedroom. Open concept kitchen, dining, & living room. Fenced low maintenance corner lot and backyard with large covered patio perfect for entertaining. Teton Plan." "Motivated Sellers - bring all offers. Modified A frame home in private setting on over 1 acre. 1 owner custom built home w/ high ceilings, great light, circular stairway, pellet stove, jetted tub in master bathroom. Also included small 3 stall barn, chicken coop, concrete horse statue, trees, & room to have a shop/garage built. The land is level & enhanced w/ Pine, Oak & Doug Fir. Property has some deferred repairs & being sold as is." "Well cared for 4 bedroom, 2 bathroom, open layout home in private neighborhood. Low maintenance yard with underground sprinklers and a two car garage with RV parking." 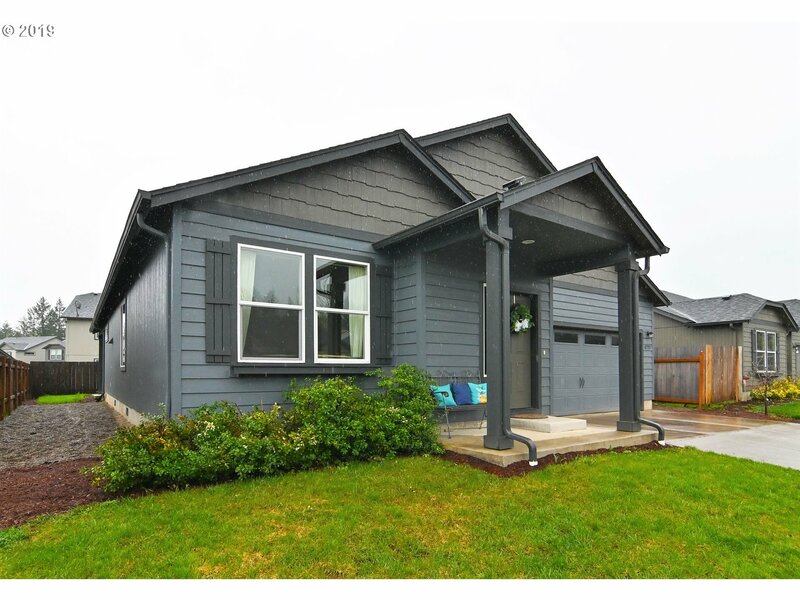 "Beautifully updated craftsman style home in the Hunter Heights Community in Veneta. This house is very well cared for and is move in ready. Expansive vaulted ceilings, new luxury vinyl plank floors, updated appliances and tastefully done shiplap accent walls make this house feel like a home. Very private and quiet neighborhood." "Beautiful one owner home in a nice neighborhood of home owners. This 3 bed, 2 bath 1636 sq ft home has lots of extras. 2 car garage w/ above garage storage. RV parking w/ charging plug & 2 clean outs. Vaulted ceilings, granite counter tops, hardwood floor, tile entry, Lanz custom cabinets. Master soaking tub, slider to patio, hot tub ready. Forced air heating & cooling, sprinkler system, Christmas lights timer, welding plug & back deck." "Great room design with good separation of space! 3-bed, 2-bath, 1,512 sq. ft. Kitchen with breakfast bar, pantry, tile back splash, and informal dining area. Open living room features a gas fireplace. Master suite with spacious bathroom. Inside laundry. Fully fenced back yard, covered patio, automatic sprinklers, nicely landscaped." "Charming 1920s bungalow tucked away from main road on over-sized .61 acre lot with Community Commercial zoning makes for an excellent live/work opportunity. Centrally located & adjacent to Veneta primary school, property is ideal for small day care, retail space, or restaurant. 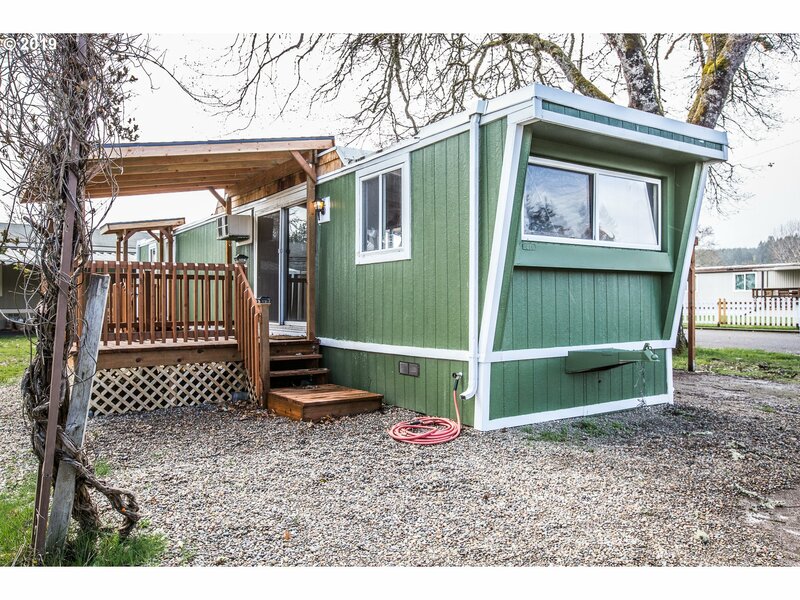 Fenced lot w/huge backyard, paved parking for 10+ cars, electric hook-up for 2 food carts, signage, & RV parking. Opportunity abounds w/your vision!" "Lovely treed lot Eugene side of Veneta. Well maintained single wide with living room tip out. Various outbuildings, room for RV parking, gardens, etc." "Beautiful well kept home located in one of the few all ages community parks. Newer carpet, new flooring in kitchen/entry, ductless A/C. A true Must See home." "Gorgeous remodeled manufactured home in the Shalimar manufactured home park featuring new carpet, new laminate floors, new tiled bathroom, new furnace, new siding, new brushed nickel light fixtures, an air conditioner, 50 gallon water heater & Pex Pipe, a carport and new shed, all with an open floor plan, eat bar in the kitchen, stainless oven, stove & dishwasher, and a great outdoor covered deck for entertaining!"